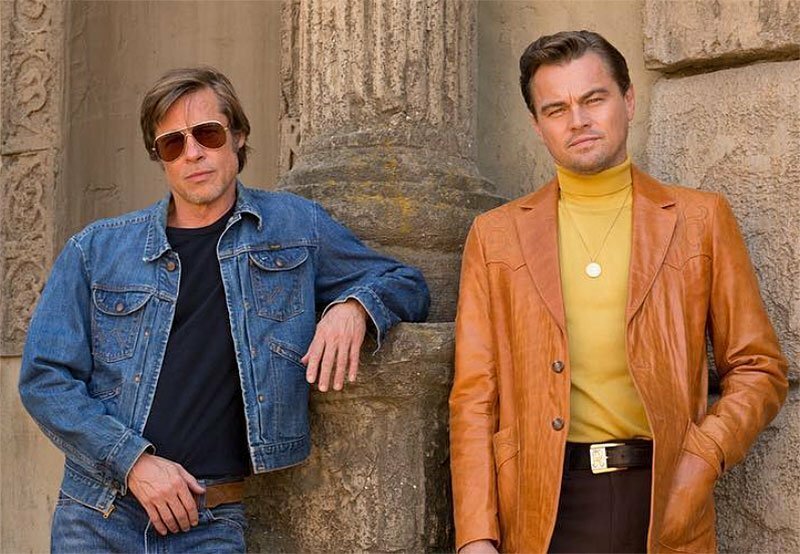 Once Upon A Time in Hollywood Trailer: Tarantino Returns! Sony Pictures has released the first trailer for director Quentin Tarantino’s upcoming ninth cinematic epic, Once Upon a Time in Hollywood. Check it out in the player below! The film is lead by A-List stars Brad Pitt and Leonardo DiCaprio along with a massive ensemble cast that includes Margot Robbie (I, Tonya), Timothy Olyphant (Santa Clarita Diet), Michael Madsen (Sin City), Tim Roth (Selma), Damian Lewis (Billions), Luke Perry (The Fifth Element), Emile Hirsch (Speed Racer), Dakota Fanning (The Alienist), Clifton Collins (Pacific Rim), Keith Jefferson (The Hateful Eight), Nicholas Hammond (The Sound of Music), James Marsden (Westworld), Julia Butters (Transparent), Scoot McNairy (Halt and Catch Fire), Damon Herriman (Mindhunter), Austin Butler (Switch at Birth), Lena Dunham (Girls), Maya Hawke (Stranger Things), Mike Moh (Street Fighter), Rafal Zawierucha, Rumer Willis, Dream Walker (The Good Wife), Costa Ronin (The Americans), Margaret Qualley (The Leftovers), Victoria Pedretti (The Haunting of Hill House), and Zoe Bell (Kill Bill). Veteran actor Burt Reynolds (Smokey and the Bandit) was originally supposed to play the role of George Spahn. However last September, Reynolds passed away before he could film his part for the movie. His longtime friend and fellow veteran actor Bruce Dern (The Hateful Eight) signed on to take over his role. Set in Los Angeles in the summer of 1969, Once Upon a Time in Hollywood focuses on a male TV actor named Rick Dalton (DiCaprio) who’s had one hit western series and is looking for a way to get into the film business. His sidekick Cliff Booth (Pitt) — who’s also his stunt double — is looking for the same thing. The horrific murder of Sharon Tate (Rick’s neighbor in the film, portrayed by Robbie) and four of her friends by Charles Manson’s cult of followers serves as a backdrop to the main story. The movie is said to be similar to a “Pulp Fiction-like tapestry” that covers a group of characters during that summer. Sony Pictures will release the film on August 9. The post Once Upon A Time in Hollywood Trailer: Tarantino Returns! appeared first on ComingSoon.net.